Discover feng shui world, make your world better. We had discussed many feng shui tips for mirror placement. Many peopel ask me that is it bad feng shui to have a mirror in the bedroom? I can told you that if you place the mirror improperly it is bad feng shui. 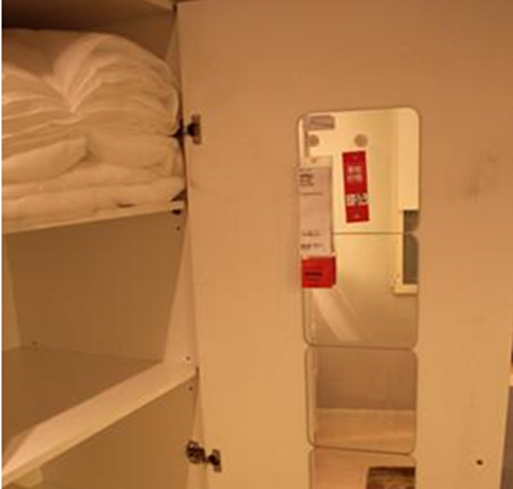 If you want to place one mirror in your bedroom, the best place is inside of chest. You can install the mirror on the back of right door of cabinet. This way could avoid exposure feng shui. When you want to use the mirror just open the door. After done, just close the door. 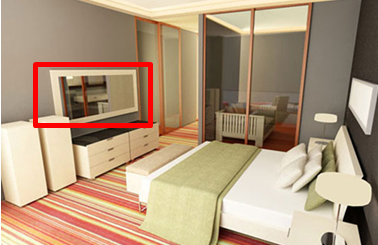 You maybe ask how does the mirror affects the feng shui in your bed room. The mirror belongs to metal of five elements. If you place the mirror in wrong place that will cause troubles. If you want to use the mirror in bedroom. There are two options. One is place one small mirror in drawer. When you use it take it out. If you want to place dresser with big mirror, you would better to cover the mirror with pretty curtain when you do not use it . There is another type mirror. It is TV. A lot of people likes to install TV in bed room. in fact, when the TV is turned off, it will become the mirror. The TV has same influence with the mirror. So we do not encourage you to place TV in bed room. if you really want to watch TV in bed room, please do not let the TV face to the bed directly. Or you can cover the TV by pretty curtain when you do not use it. Do not place mirror around your table. Hope those feng shui tips can help you to get good feng shui in your bed room. GOOD LUCK!